Following the footsteps of global technological innovation, Indian banking industry is getting integrated in operation just to lead towards higher efficiencies. 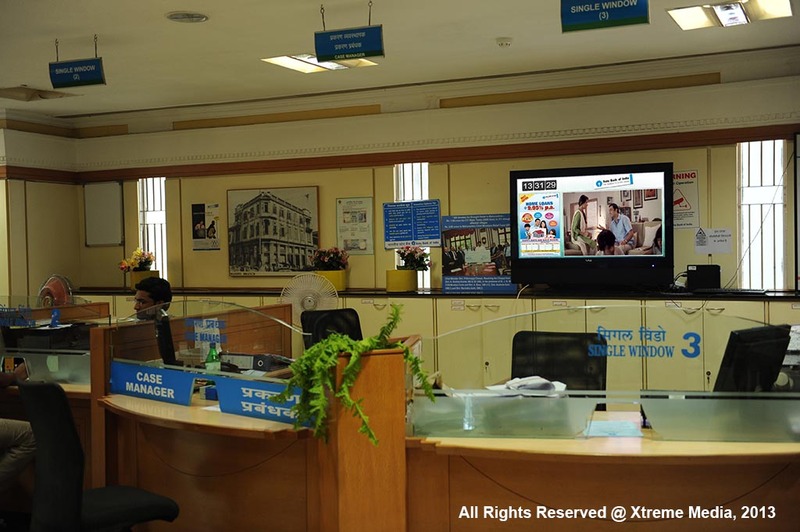 The biggest Digital Signage project is getting implemented in India by none other than State Bank of India. We are more than proud to be technological partner for such an esteemed project. 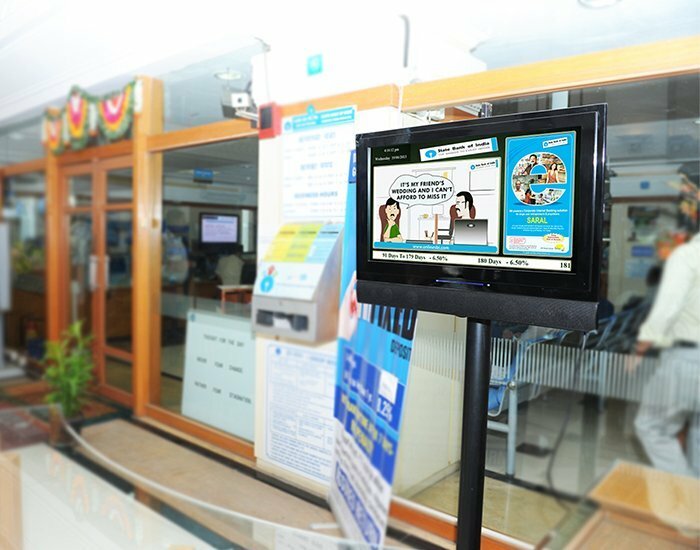 Our Digital Signage Solution was adjudged the best Techno-Commercial offering by the State Bank Group against more than 15 competing offerings. 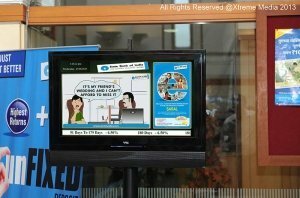 We are rolling out the Largest Digital Signage Network across India. 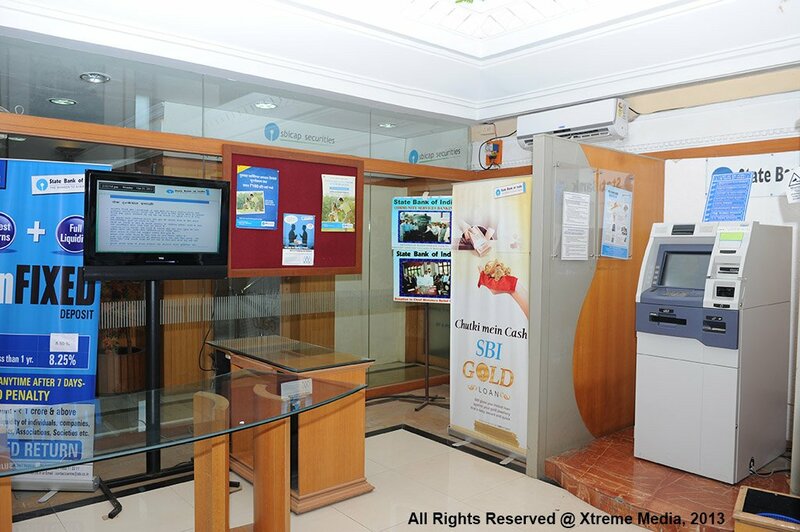 2000 branches covered in Phase 1, to be extended to 21,000 branches & 27,000 ATMs in due course. Screens can be controlled from Corporate Office as well as the 14 Local Head Offices. Content Management Service at Corporate Office and 14 Local Head Offices through on-site personnel. 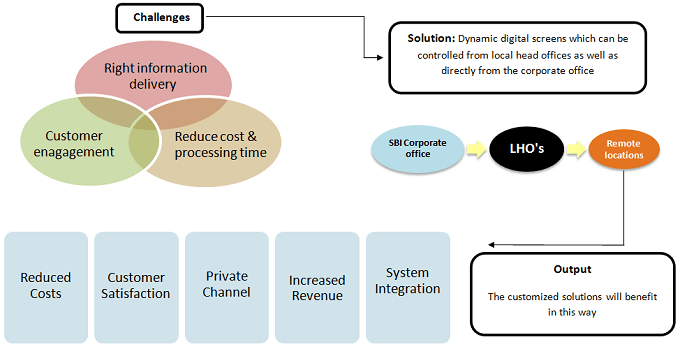 XM software enables SBI to broadcast prescheduled content, which means no continuous control required. XM player divides screen into different regions to play different type of content. All content formats are accepted including videos, images, PDF, RSS feed of currency rates, gold rates, live TV, etc. Thousands of branches are controlled centrally & updated within minutes. In case of emergencies, overriding scheduled data could be applied instantly. Clearer & better solution compare to static displays, which often needs to be changed & lead to increased cost. Best Tool for advertising & branding purpose & to position branches as per the local demographics.